Negative SEO is a real thing. Many marketers are trying to manipulate the system by sending spam backlinks to their competitor’s website. Generating a disavow file for bad links and submitting it to Google. Building more high-quality links to your website. Generating a Google disavow file will ensure that Google nullifies the effect of links coming from spammy websites to your site. You can use tools like Ahrefs, SEMrush, and others to generate a disavow link file. In this tutorial, I will show you how to do this using the Ahrefs SEO tool. Step 1. Create an account and add your site to the Ahrefs dashboard. Step 2. Start adding spammy backlinks to the disavow file. Note: You should use this method with caution and only when you understand completely what you are doing. If by mistake you end up disavowing important backlinks, it might affect your ranking. Another thing you need to keep in mind is that most spammers drip feed such spam links. 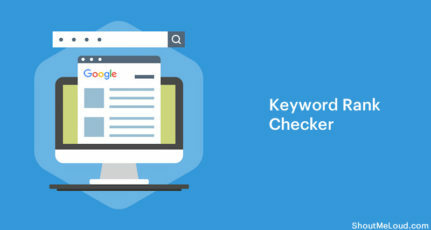 You need to make sure you keep monitoring new backlinks as they come in. 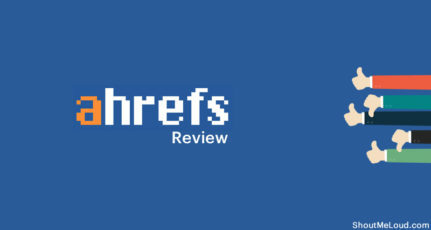 I like using Ahrefs to get this done because their database is extensive and they crawl new links faster than most of the backlink checker tools out there. 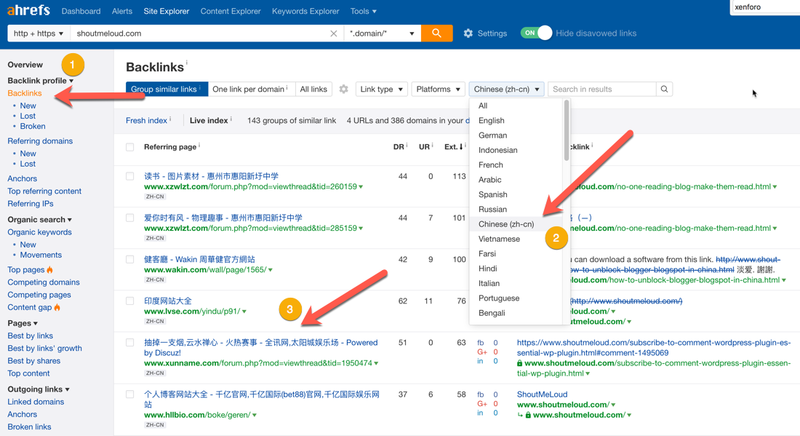 Also, once you have added a domain to the disavow file generator in Ahrefs, that domain will not appear again in the backlink profile. This way, all you need to do is monitor your new backlinks and keep adding new spammy links to the disavow file. I also like using Ahrefs because you can easily monitor new backlinks, which is important for maintaining a site’s SEO. Create an account on Ahrefs. Submit your domain to the Site Explorer. Add existing spam links to the disavow file. Submit the disavow file to Google’s Search Console. Monitor new links coming in. If you are losing your ranking due to spam backlinks that were either generated by you (yeah! sometimes people buy crappy backlinks thinking this will help) or by a competitor, follow this process. And if you’re not facing this issue now, keep this post handy as it will become very useful when this inevitably happens to your site. Create an account on Ahrefs, and confirm your account by clicking the confirmation link on the email. 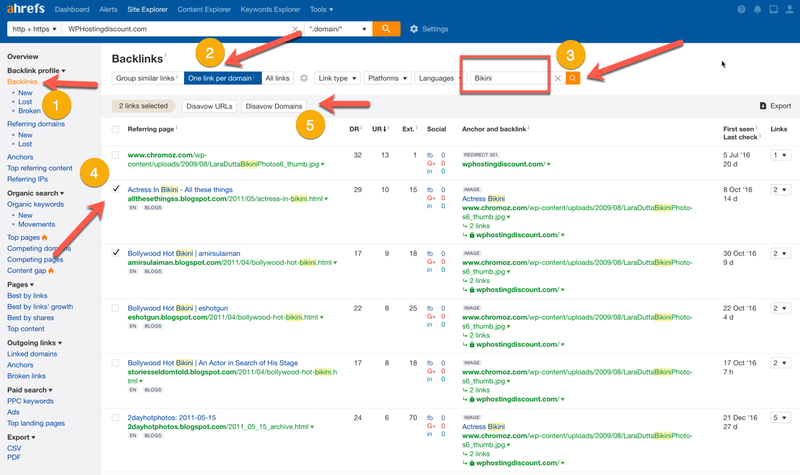 Once you are logged in to the dashboard, submit your site to the Ahrefs Site Explorer tool. Click on Add a website. On the next page, set the protocol you wish to track. You should track http + https for the best results. Also, give a meaningful name to the project (like your website’s name). On the next page, you can input a URL (either yours or your competitor’s) to set up keyword position tracking and mention monitoring. This is outside the scope of this tutorial, so I’m skipping it; however, you should set these things up to get the most out of Ahrefs. One thing that I find very exciting about Ahrefs is that you will get the website report literally within seconds. Now, it’s time to click on Referring domains, and start adding spammy domains to our disavow file. This is where the real game starts. You need to identify the spammy domains that you want to add to your disavow file list. This is an extensive process for a first-timer, but after the first time, it gets easier. Also note that once you have disavowed all spammy domains, you need to monitor new backlinks (this is easy to do on Ahrefs). This is the easiest method as all you need to do is browse backlinks and find obviously spammy links. Click on Ahrefs Site Explorer. Click on Anchors in the left column. Find the spammy/non-relevant anchor text. Now, click on Backlinks > New on the left column and make sure you select the Live Index. You should also select One link per domain. This filter will show you only one backlink for each referring domain and will show you the backlink with highest UR (URL Rank). Once you have selected the domains you want to disavow, click on Disavow URLs. You also need to pay attention to the option at the top right that says “Hide disavowed links”. This will ensure those domains will not appear in your backlink profile of Ahrefs. Now, let’s have a look at the 2nd method. If you are getting spam backlinks to a few specific pages, you can select Pages > Best by links to find these links. Here you should also click the Broken option that shows the backlinks you’re getting to your 404 error pages. 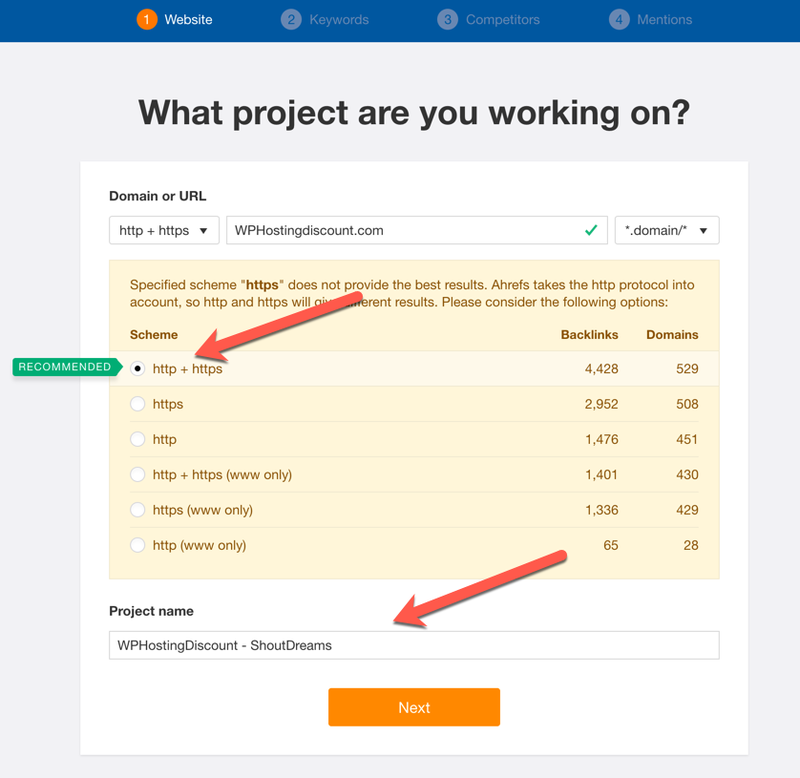 Simply copy the URL and enter it into the Ahrefs URL field to find all backlinks pointing to that page. I have yet to find any direct way to add those links to the disavow file, and I have notified the Ahrefs team about adding this feature. This way will let you find links to your website based on the language of anchor text/webpage. 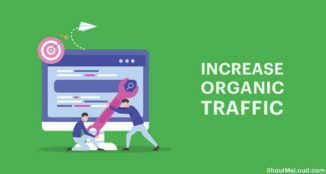 After going through the rest of the methods outlined above, you should finally go through each backlink manually and pick out the spammy ones. Again, make sure you select the option that says One link per domain. This saves a lot of time. I then used the search bar to find all such links and manually reviewed them before adding them to the disavow file. Depending upon how big your site is, you need to spend at least a few hours adding in these spam links to your disavow file. For me, the fastest way is the anchor text way (the first one), but all of these methods should be used to make sure your entire backlink profile is free of spam. So depending on how many backlinks your website got, this process could take a few hours or even a few days. Do remember, this is an on going process, so you should always be adding new links to your disavow file. This is the final step where we tell Google not to let these spammy links affect our site’s ranking. Go to your Ahrefs dashboard. This will take you to the Disavow Tool for your site on Ahrefs. Here you can see a list of all the sites that you have added. You can also add in more links manually. Once you are satisfied, download the file by clicking on Export. This will export all links in a .txt format. Now you need to upload this disavow file to the Google disavow link page here. 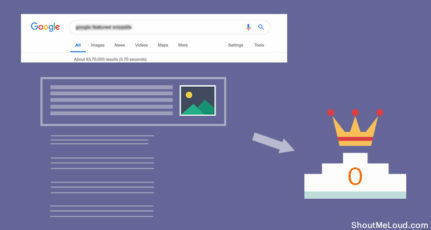 If this is your first time, you should read this tutorial on how to use the Google disavow tool. 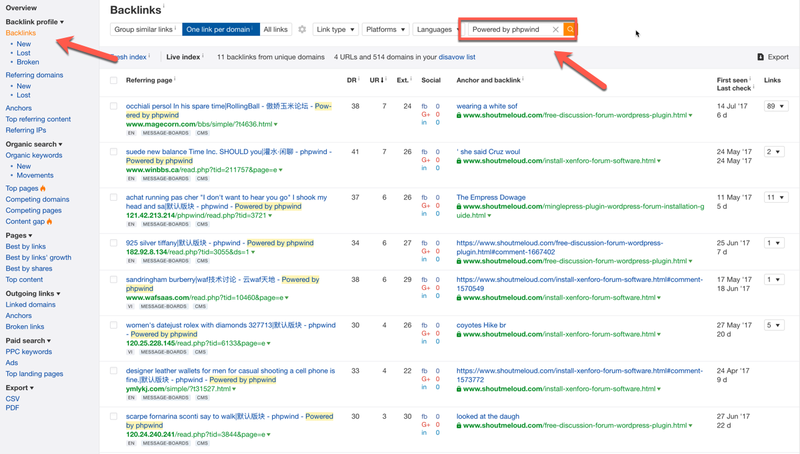 Ahrefs is indeed one of the top tools for monitoring your backlinks, and their disavow file feature is also extensive. For a huge website, it might be time-consuming to add in all these spam links, but the features to “hide added links to disavowed file” and “browse new links” will help you save time as you move ahead. 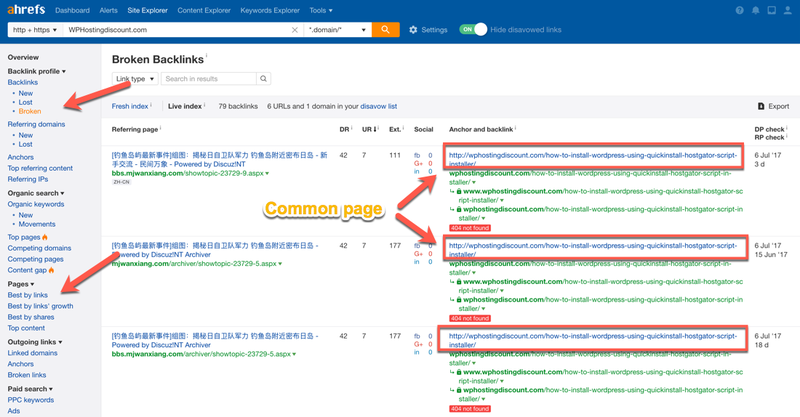 It would be great to see Ahrefs add in more ways to find toxic backlinks and quickly add them to the disavow file. But for now, it works pretty well and will definitely get the job done. 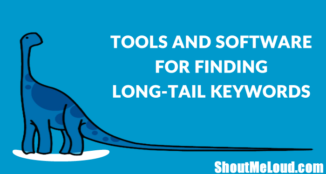 In the coming days, I will explore more SEO tools that will help us to tackle negative SEO. For now, if you wish to suggest any more tricks or a new tool to generate disavow files, feel free to let me know in the comments section below. And if this tutorial was helpful, do share it with others who can benefit! Can You Provide a free Tools Like Ahrefs??? The article seems very helpful. After submitting disvow file to google,how long it may take for google to ignore those spam links and how do we know google did it? In my experiences, it only needs hours to see the results. Same as if I update anchor texts, url backlinks, and fetching urls at Google’s Search Console; google will do the crawls (not instantly, but we need to wait for a few minutes), and we could see on search results. Can to get ahref in free????? They offer 14 days free trial that you can get it from here. Very useful information about generate disavow file. can u provide me Ahrefs tool for some time trial,version. use the below link to enjoy 14 days complete free trial of Ahrefs. Thanks for the wondeful post! Though i recommend google search console to disavow any file. But still Ahref is also a good tool. I did this to one of my websites, but I had to remove links from only one domain, so it was easy. This process would be useful to remove a lot of spam links. Thanks for sharing. I use both ahref and semrush to analyzed and audit backlinks. They are both great tools. In my own experiences, it merely needs hours to find the results. Same as if I upgrade anchor texts, link traffic, and fetching urls in Google’s Lookup Console; google is going to do the crawls (maybe not immediately, but we will need to wait around for a couple minutes), and then we can watch on search outcomes. This is why I make backlinks audit on my sites at least once per month. It’s totally weird for me that people still try to destroy competition using negative SEO when hey could spend this time to improve their own SEO. This is seems to be very nice.but if u make youtube video on this topics.then it will be better for us. Very useful information about generate disavow file.I use both ahref and semrush. I didn’t know we can hide the added links. How much time does it take to process the disavow file by google?